The Lodge at Heritage Lakes is a luxurious apartment community located just 15 minutes from downtown Lincoln, Nebraska. Our homes feature ground level private entries, island kitchens, wood laminate flooring, walk-in closets, and in-unit washers and dryers. Want to pump some iron? Check out our 24-hour fitness center featuring an indoor rock climbing wall and an extensive selection of free weights. Other amenities at this community include a sparkling resort style swimming pool, picnic area with a stainless steel barbecue, a spacious dog park, and a club house with free wifi where you can also enjoy some free complimentary coffee! Not only do we offer exceptional amenities, but we are located within a prominent school district. In that regard, we are within walking distance to Kloefkorn Elementary. There is also a convenient Lux Middle School bus stop at the property. 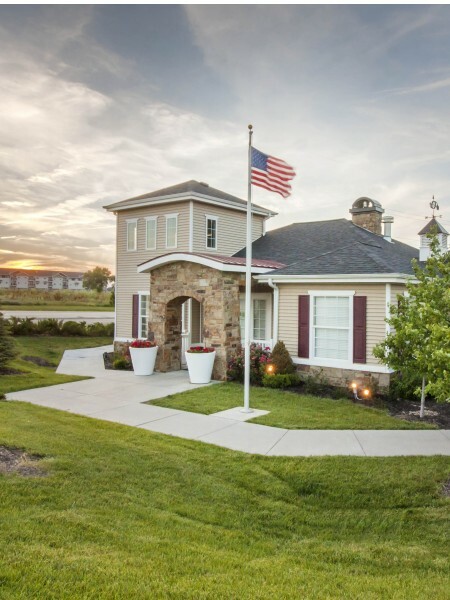 The Lodge at Heritage Lakes provides you with all of the convenience and luxury you desire and deserve. 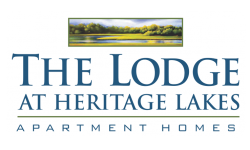 Call or visit The Lodge at Heritage Lakes today! BREATHE EASY - YOU'RE HOME NOW. Our beautiful grounds and spacious floor plans ensure the utmost comfort for any lifestyle. We charge $300 for one pet and $450 for two. We also charge pet rent of $30 per pet, per month.